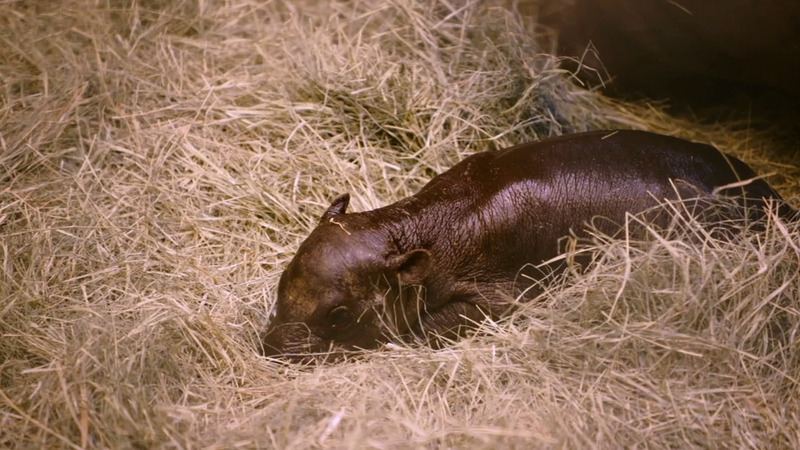 SAN DIEGO, Calif. -- A mother pygmy hippo gave birth to a 12-pound baby Wednesday at the San Diego Zoo, making it the first surviving hippo birth in more than 10 years. The youngster was born to her mother, Francesca, in the early morning hours, according to lead keeper Kim Livingstone. The mother and her calf were evaluated and then taken to a barn away from the public eye to spend time together. Zoo keepers will keep an eye on the baby until they deem it is able to go into the larger pool in the main exhibit area. Pygmy hippos are an endangered species that come from the forests of West Africa. Ten years ago, it was estimated that about 2,000 pygmy hippos were left in the world. Since then, political unrest, deforestation and wildlife trafficking in their native habitats have significantly reduced the population. The remaining pygmy hippos are believed to be in Liberia, Sierra Leone, Guinea and the Ivory Coast, according to the Pygmy Hippo Foundation.